Delayed flights. 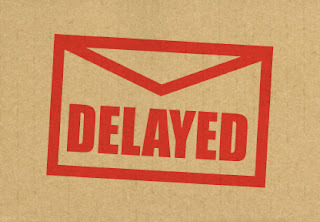 Delayed appointment. Delayed hotel check-in. Delayed food service. Delayed salary. Delayed start of the program. Delayed traffic flow. Don't we just all hate delays? I mean, who likes waiting (especially when you have cranky toddler in tow)? No one, I suppose. Recently, God has been teaching me to submit to delays. He has been reminding me to fully trust Him because it will be accomplished in God's time. However, I have to admit that it is difficult because a piece of me wants it now. In my devotions, in my prayers, I have been asking God why is He allowing us to wait longer . Why when he can give it to us now. Why prolong the waiting? In return, God tells me to still "wait". As I begin to write this entry, I am reminded how Sarah, Abraham's wife, chose to have Hagar as a surrogate mother because she believes that God will never accomplish the promise of giving her a son. She did it her way instead of trusting God's timing. 1Now Sarai, Abram’s wife, had borne him no children. 2so she said to Abram, “The Lord has kept me from having children. 14Is anything too hard for the Lord? My prayer is that I would be able to wait without sinning, without doing it on my won terms. I hope that the fruit of the Holy Spirit will blossom instead. That I will choose to be kind, understand and see the big hand of God. I used to feel guilty every time I have a serious longing to be away from Bryan and Risen for some time (like maybe for a day every 1 or 2 months). I thought to myself on why I would like to voluntarily spend my day without them? Does this mean I care and love them less? It dawned on me that the desire to be away from family for a couple of hours is nothing that I should be sad about, rather it is something that I should really do from time to time. I realized that this is not only beneficial for myself but more so for Bryan and Risen. When I am away, my boys can bond without my "intervention". They can do whatever they want without me telling to do it "this way" or "that way". I might come home to Risen who ate pizza and ice cream for dinner, but who cares? Minsan lang naman. And besides, who would not like pizza and ice cream? Second, Risen needs to know, feel and see that I can't be his only person. At 2 years old, he has the tendency to be really clingy. In many times, he only wants me, just me. I do not want this. Risen has to see and be with other people. It can't just be me. 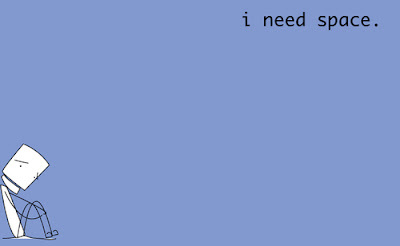 Third, in some occasions, I badly need it. I love being a full-time wife and mom, however, at times, I get "tired". I just need to get away from my routine and be in a place where my boys are not around. So forgive me (us) when you see me (us) lounging in coffee shops without my family. Do not question me (us) when I (we) sometimes go home late from dinner (again without my (our)husband/s). I (we) do it because I (we) need it. I (we)need to make time for others so I (we) see how special my family is. I (we) love spending time with my friends so I (we) can share how awesome my Bryan (husbands) is and witty Risen (kids) is. Besides, though I (we) am "away", what we look forward to is the "coming home". So at least once a month, or every two months, let me be alone. I need space. Thank you Bryan for always saying "yes". I love you! Risen had his second birthday on a Thursday. This means that it will be a "normal schedule". Bryan will go to work at 6am and I will have to teach for 2-3 hours in the morning plus a "few things" here and there. However, since it was Risen's day, I decided to continue with our usual routine but make sure to give all my energy, eyes, dedication and focus on him. I made it certain that except for my online work, no other little things will be done. When I woke up I already had my schedule in mind. I would have devotions, teach for 2 hours then Risen and I would play, be silly, read aloud, extend bath time, sing, write on doors using chalk, bike outide, buy Stick-O, etc. When Bryan arrived at around 3:30, the play and fun continued. At the end of his big day, I was like, why am I a happier mother today? I suddenly realized because maybe I lived our day without thinking of anything. I did not mind not being able to do this and that. I did not get pissed having to postpone "other" things because Risen wanted to play. 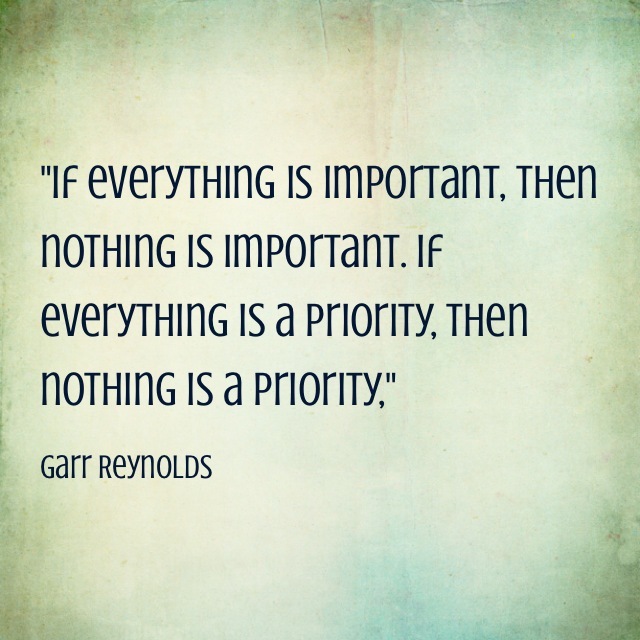 It dawned on me that this is the true meaning of priority. Not getting frustrated because my main concern held me back, but being able to let go of the "other things" because of who or what needs me the most. As I mentioned in one of my posts before, full-time moms may easily forget the reason behind their "vocation". Risen's birthday reminded me that he is my priority (aside from God and Bryan, of course) so I should not worry or get bad irritated when I do not get things done. I too should not feel unproductive when what I did all day is play with my toddler. I am a stay-at-home mom because of Risen and not because of the other things. This season is for Risen. While Bryan is at work, our son is all mine. He thinks I am his world so I will give it to him. The others can wait up until his nap time. How about you? 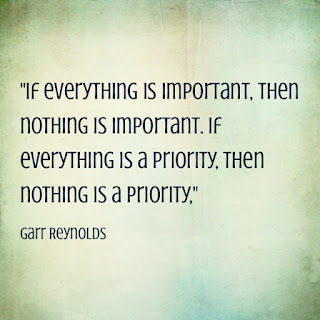 Is your priority really your priority? "Our self worth is not determined by our net worth"
This thought pierced my heart. It was a beautiful and timely reminder that I should continually seek for what is eternal than on what moths can destroy on earth. Do not get me wrong, I still want those pretty things (I would be happy to get a new pair of shoes today) but in my motherhood, God taught me contentment -- to not base my happiness on worldly possessions, to not be controlled by the things I cannot buy, to not be driven by money and to not be jealous with the people who appear (as seen on Instagram) to have the every new thing. I hope to make more memories with my family. To cultivate friendships and relationships. To feast over stories and experiences. To help people. To be kind. To do ministry. And with my posts, I hope to click and share and not click and brag, because truly, what can I boast about? or the rich boast of their riches.